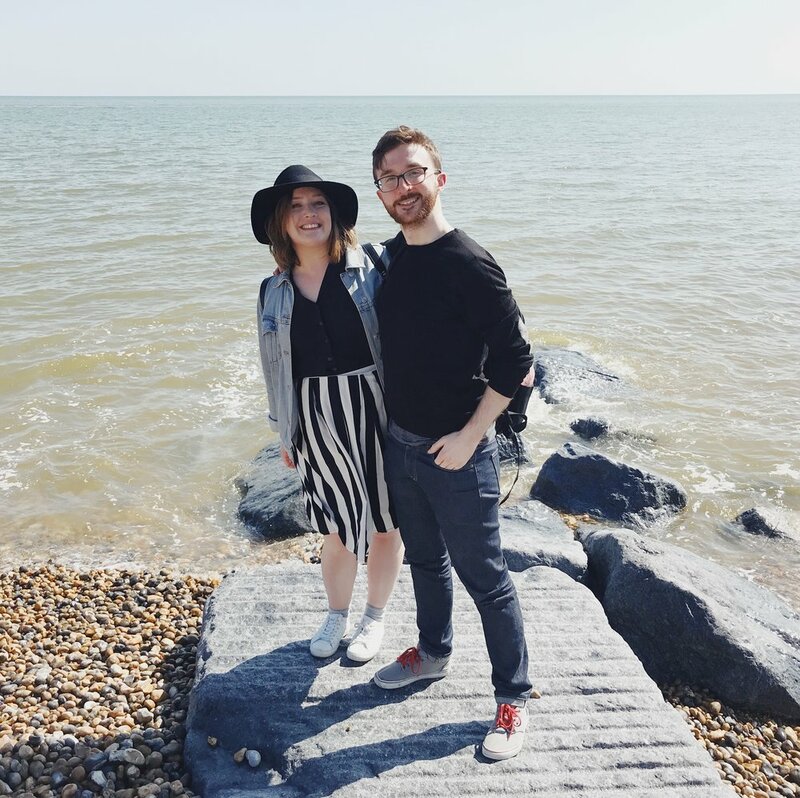 I wrote one of these posts last year and it’s a really lovely way for me to look back at my year, bring up old memories and maybe give you some travel inspo for 2019. Last year I didn’t make it outside of Europe, which is actually a bit unusual for me. And the theme of the year seemed to be CASTLES. Can’t go wrong with that. You’ll see lots of great UK and Ireland locations and I’m also very glad I got to explore lots of places by train (high five to Mother Earth). Let’s get into it! The first trip of the year was with my friend and current flatmate Rosianna. We both love a good day trip, but for Bath we decided to stay the night. I’d only ever visited when I was much younger and was keen to check out some Austen related spots too. It was one of the first super sunny days of the year, and we took so many lovely pictures. Highlights included buns at Sally Lunn’s (we went with the classic cinnamon butter, and I even took a jar home), sauntering down the Royal Crescent, going bookshop hunting and taking a little detour in the rain to the stunning Prior Park. For my anniversary trip with my boyfriend Ger we decided to head down to Arundel Castle. The town isn’t too big, but perfect to spend the afternoon after you’re done with the castle. It was another rainy day, but a great location for history lovers or if you want a quick break from London, as you can take the train directly to the town. Get ready for a lot more pictures of me walking towards castles. Don’t say I didn’t warn you! My trip to Hay-On-Wye was technically a work trip. 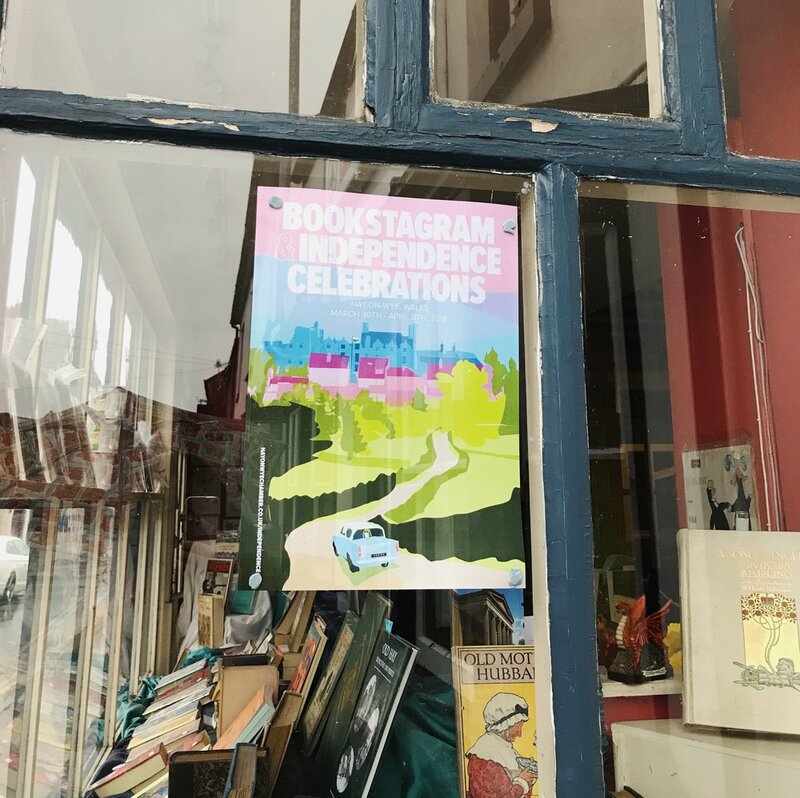 There was a big Bookstagrammer event (that’s Instagrammers who post pictures of books, for those of you not in the know) and I was speaking on a panel about social media and publishing. I got to roam the town quite a bit, as I was also shooting a video for work. Hay-On-Wye is just across the Welsh border and is a ‘bookshop town’. It’s a bit of a pain to get to (I had to return to the nearest town by bus to catch my train, so had to make sure I didn’t miss the ‘once every 3 hours’ bus), but if you’re a second hand bookshop lover, it’s the place to be and the people in the town are so nice. This is a sad one to talk about because our friends Fran and Ed, who we frequently visited in Hastings, moved to New York last year. We wanted to make sure to see them one last time before they moved to the Big Apple, and we were so lucky to have a beautiful sunny day. Our visits were always filled with beautiful views, beach walks and excellent vegan burgers. I’m not sure when I’ll be back, but I’m super keen to explore more coastal towns around England. 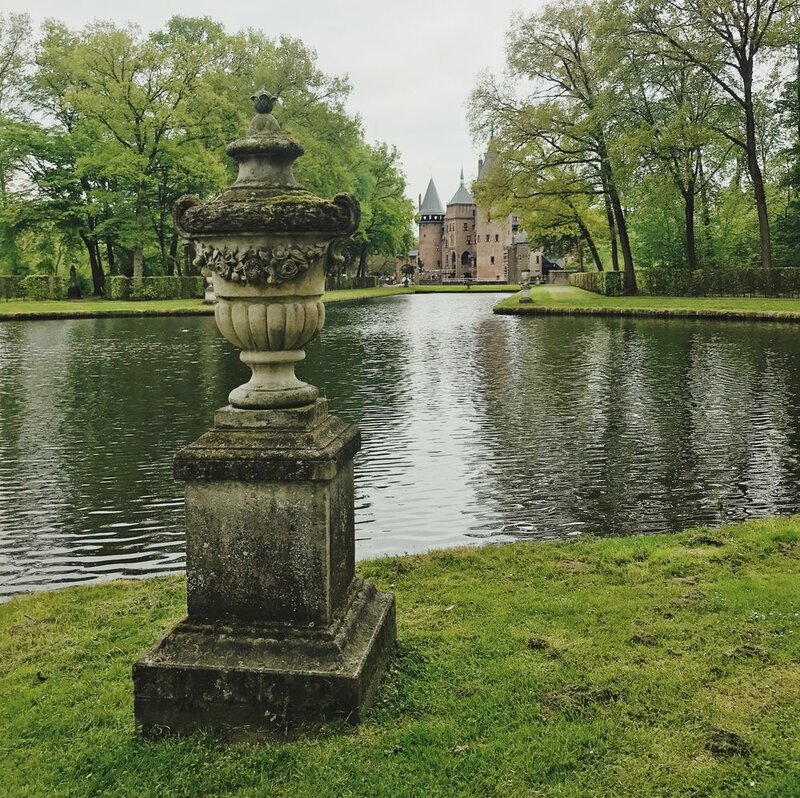 Who knew the Netherland had gorgeous castles too? Well, I did to be quite honest. I visited them as a kid, but had somehow never thought to repeat the visits as I got older and was busy hunting down castles across the pond. I was visiting my parents in the Netherlands and it happened to coincide with one of my London friends being there too. So when she invited me on an excursion to Kasteel de Haar I obviously said yes. It looks like it’s appeared straight from a fairy tale and is pretty easy to reach by bus from Utrecht. Would highly recommend a visit! a big hiker and she did manage to get me up some mountains this time. I’m usually more of a flat forest walk kinda gal, but the views and adventures were definitely worth it. We visited Loch Lochmond, Glencoe, Cairngorms, Dunnotar Castle, the Highland Games and of course Midhope Castle (yep, that’s Lallybroch from Outlander). My boyfriend Ger is from Dublin, so every year includes a trip or two to Ireland. Coming back a few times means there’s time to fine tune the restaurant and bookshop wish list, and I also had the opportunity to go on not one, but two guided tours in Dublin on a press trip for the Happy Pear cookbook. 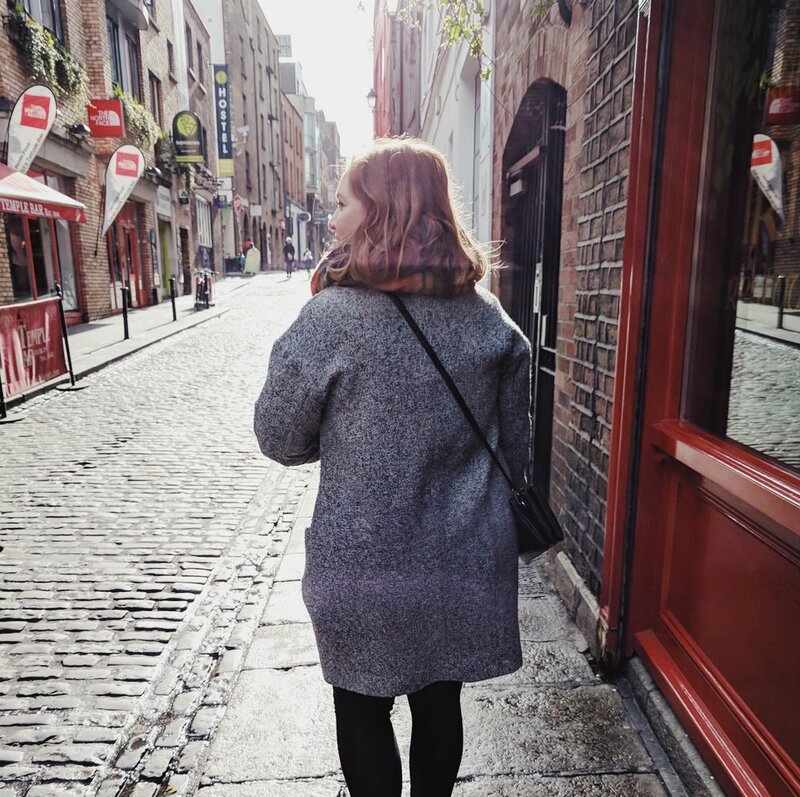 I already have a full Dublin city guide up on my blog, but at this point I think I’m ready to write a second one. Marrowbone Books was a brand new discovery, as was Token, which is an arcade with old school games and some very nice vegan junk food. I’d always wanted to go to Galway, so when I knew we were going to stay in Dublin for a while during Christmas, I sneakily added in a day trip to the west. It wasn’t quite what I expected and after one day and a lot of rain, we’d probably seen all there was to see in city. If you go yourself, I’d recommend planning in some day trips to surrounding sights (plenty of castles, cliffs and islands). We did manage to entertain ourselves pretty well by spending a few rainy hours in a lovely board game and donut cafe, had an incredible breakfast and lunch at Ard Bia (the Galway food scene is amazing) and of course found a local pub to enjoy some whiskey and live music in the evening. Every year always contains a few trips home to the Netherlands. Most of my family and some of my friends still live there, and now with the direct Eurostar from London to Amsterdam (though you still have to transfer on the way back) the journey has become even easier. I’m trying to make an effort to visit more new places in the Netherlands, as I really didn’t explore loads during the 23 years I lived there. Highlights were a day trip to Haarlem with my parents for King’s Day and spending a bit more time in Amsterdam. I promise I will finally get to those Amsterdam recommendation blog posts this year. We ended the year with a pals trip to the stunning Dorset. We crammed everyone into a rented van, as we wouldn’t be able to reach our cottage without a car, and spent lots of hours without phone signal playing board games, reading and wandering through the forest. 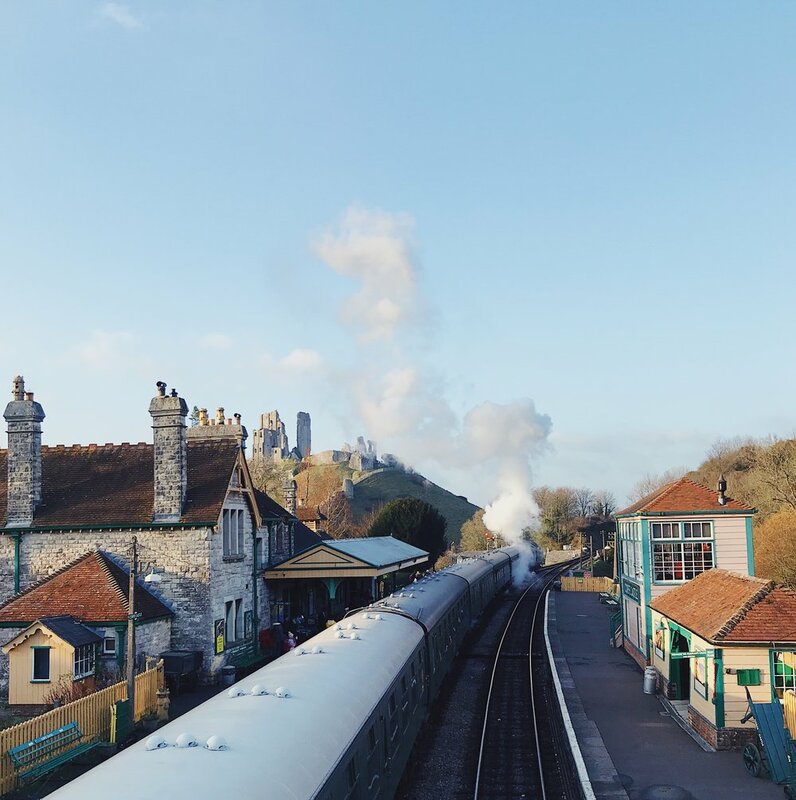 We also passed through the New Forest and stopped to admire the wild horses and took an old fashioned steam train to the coast from Corfe Castle. I have a feeling we might repeat this one in 2019. If you spotted any locations you want to ravel to this year in my list and want any further recommendations, let me know. We’re well into the new year now, but I’m not really sure where I’ll be heading this year yet. Looking forward to all future unknown travels!